The committee of conservation and utilization of fishery resources (CUF) aims to conduct investigation and stock assessment of aquatic living resources in order to provide management advices and measures for rational utilization, conservation, and enhancement of fishery resources, to improve fisheries management measures by establishing research-based fisheries management system, and to provide the technical support for protection of fisheries resources and endangered aquatic species in the coastal seas and inland waters by establishing technique system of domestication, breeding and rescue for aquatic rare and endangered species. A healthy aquatic ecological environment is not only the most basic condition for aquatic organism to live and multiply, but also the lifeblood for the fishery development. 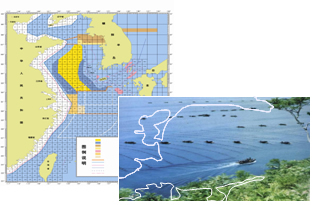 At present, the environment quality of fishery waters in China has been continually deteriorated, structure and function of fishery aquatic ecosystem have been influenced and destroyed to different extents. The important study task in fishery eco-environment field should be developed on the evolution mechanism of aquatic ecosystem, the consequences of anthropogenic activities on fishery eco-environment, ecological impacts of environmental variation on aquatic organisms, and the protection technology of fisheries eco-environment around diagnostic and evaluation of fishery eco-environment quality, assessment for fishery pollution ecology and environment security, restoration of cultured and degenerated aquatic ecosystem, and managing of fishery eco-environment quality based the national developing pregame of science and technology in the middle and long terms. Monitoring and Conservation of Fishery Ecological Environment, Ecotoxicology, Biology of Persistent Chemicals. The major research area of the Fishery Biotechnology subject include functional genes cloning and function research in important aquatic species, molecule markers and used in selection breeding, genetic diversity analysis and germplasm resources assessment, transgenic and bioengineering research etc. There are about 80 researchers engaged in fishery biotechnology research in CAFS now. In recent years, CAFS accessed to a number of growth, immune-related, and other important functional genes in a number of major aquaculture and also worked over the gene expression and the control. In the screening and application of molecular markers, molecular markers such as microsatellite, AFLP and ISSR and genetic linkage map were set up in a carp, tilapia, largemouth bass, sea bream, turbot, shrimp, pearl farming shellfish, and other species. And a number of molecular markers were acquired related to growth, cold hardiness, disease resistance, which had been applied in cultivation of new varieties. 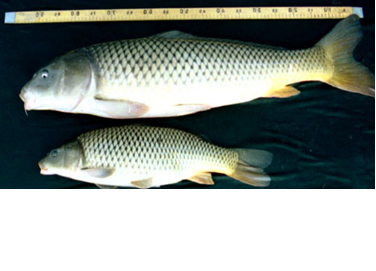 In genetic engineering breeding, some transgenic fishes were successful acquired, such as "super carp" which was transgene with the growth hormone gene, White cloud mountain minnow（Tanichthys albonubes） which was a genetic stability with the red fluorescent protein gene, and the biosafety risk assessment are carried through for early into the market. In fish embryonic stem cell culture, gene targeting the establishment of cell bass, the embryonic stem cell lines and embryonic stem cell transplantation technology of weever and sea bream were established, and access to the embryonic stem cell transplantation in embryos and fry of weever and zebra fish. Discipline of the Prevention & Control of Aquatic Diseases is one of ten key disciplines of CAFS. It has carried out relevant study for forty years, achieved some outstanding scientific research achievements, such as immune protection of grass carp hemorrhage, pathogenesis of Aeromonas hydrophila, comprehensive prevention and control of Siniperca chuatsi viral disease, and leads the development trend of prevention and control of China aquatic disease. At present, the discipline has formed a scientific academic echelon with reasonable structure and powerful influence in China, and primarily carries out research on the fields of outbreak and alarming of aquatic disease, aquatic animal immunity, aquatic drug develop and safety use technology, aquatic disease bionomic control, fishery public health, et al.. The research fruits which we have achieved and will achieve in the future, provide technology support for the Prevention & Control of Aquatic Diseases and quality safety of aquatic product. Discipline of Aquatic product processing and fishery resources utilizations is a leading research group represents the research orientation in processing of aquatic products and utilizations of fishery resources. The functions of the discipline are implemented by its own committee, committee members are composed of the experts and elites from the subordinate institutes. It has several specifically functional laboratories, Including, Processing of aquatic products laboratory, Comprehensive utilization of aquatic products laboratory, Fishery resources and enzyme engineering laboratory, Aquatic biological substances research laboratory, Aquatic products processing equipment laboratory. 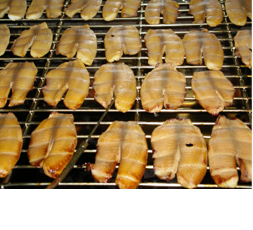 Research area includes: Seafood processing，quality and safety assessment of aquatic products, shelf-life extension of processed aquatic food, value-added product research and development, fishery by-product recovery and utilization. Some Researches focus on fish, shrimp, shellfish and algae processing, the intensive research and development of aquatic products, the transformation of marine resources, marine drugs and biological products. Some relative researches are about marine micro algae utilization; exploration of marine animal and plant sources of natural compounds; Aquatic products processing equipment and technology; development and application of new technology and equipment, live seafood-transport systems, process control technology, and so on. The object of Fishery Equipment and Engineering Research is all important fishery machinery, fishery instrument, fishing vessel, fishery facility as the main content of fishery engineering in modern fishery production development. 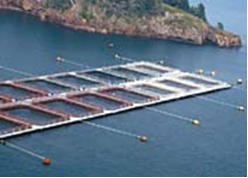 The main content is fishery production; aqua-products processing, preservation and logistics engineering; aqua-feed processing engineering; fishery energy sources; fisheries environment and resources production, management and biological reservation engineering; fishing harbor engineering, etc. This subject’s main research fields include: aquaculture engineering, fishing equipment and engineering, aqua-products processing equipment and engineering, fishery resources biological reservation engineering, fishing harbor engineering, etc. The discipline is devoted to fishery information gathering and research on social sciences. The key competencies are in management of information resources, utilization of information technologies, and studies of policy and economics. This inter-linked set of disciplines work together to provide a wide range of research and analysis for improving the national fishery management.